2011 turned out to be an interesting year. It seems the moe craze is starting to dimmish a bit with a few notable failures; Yuru Yuri I’m looking in your direction; but overall 2011 turned into a pretty good, especially for Funimation with them pushing out two of the titles on this list on top of their exceptionally successful FLCL rerelease. The titles on my list paint 2011 as a year where Japan returned to attempt reaching a western audience, where an auteur director came of age, where artistic exploration reached a new pinnacle, where sweet and simple narratives play with our emotions, and where Japan proves they are still capable of creating some of the finest Science Fiction in the world. Each of the titles on the list represent different reasons why I’m an anime fan. The chief reason among them being how much depth the medium has to offer. The qualifying rules are simple, a series had to have finished airing in 2011 and a film has to have been released on DVD or screened in the United States at some point in 2011. Now, on to the list! Tiger & Bunny stands apart from other Japanese attempts at superhero stories because it relies so much on the characters. They are beautifully drawn and full of life, so much that I desperately await more stories set in the universe. Tiger & Bunny has the potential to be the new gateway drug for the next generation of Anime fans just as Cowboy Bebop was for my generation. It has themes that appeal to a western audience but enough anime tropes to prepare an unsuspecting audience before jumping into the vast world of the medium. 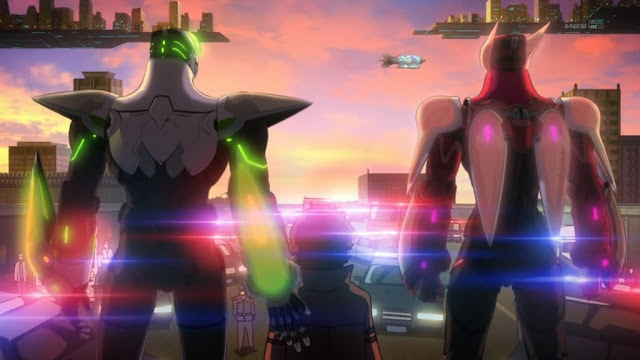 Above all else Tiger & Bunny could keep me on the edge of my seat with excitement though the majority of the final arc and allow me to build a strong enough emotional connection with the characters to have me break down in tears. For an action show to do both of those things elevates it above the majority in its genre. 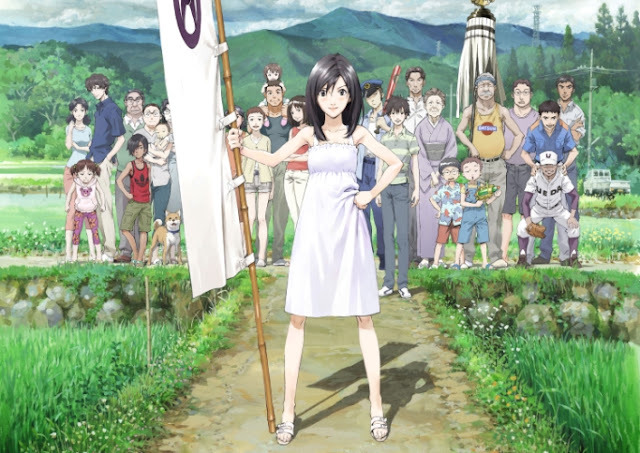 Mamoru Hosoda made a huge affect the industry with his film “The Girl Who Leapt Through Time.” Summer Wars represents the first time Hosoda directs an original script and it definitely shows off the level of creativity of which he is capable. The imagery is stunning from the rich and full virtual world of OZ to the subtle beauty of rural Japan. The narrative pits old world family values against the need to be connected through a digital world and the stark difference between how the two worlds look aids the theme in profound ways. The greatest achievement of Summer Wars is Hosoda’s handling of characters. The family depicted in the film easily contains two dozen members and yet with a few short scenes the audience feels as if they understand the make up of the family, and the character of even the most minor players. This is done by relating universal experiences and allowing the audience to fill in gaps with their own experiences. Truly, a magnificent style to immerse the audience in your world. 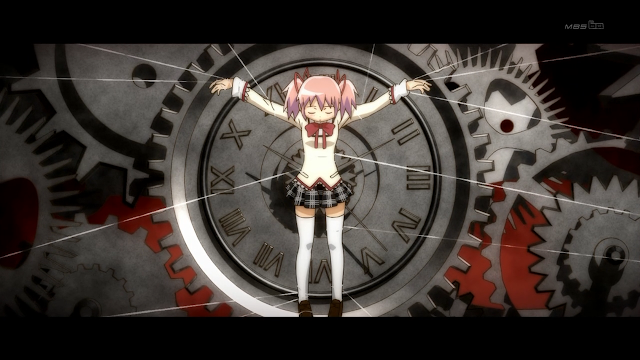 In an attempt to describe Madoka Magica I called it “The Dark Knight of magical girl shows” and indeed I believe that it took a genre that had been traditionally for young girls and transformed it with gritty realism and dark characters that left the idea of escapism normally associated with Magical Girl shows far behind, instead turning the idea of “Magical Girl” into a fate I wouldn’t wish on my worst enemy. This isn’t the first show to turn Magical Girl tropes upside down but it certainly did it in a lasting and profound way. The greatest achievement of this show is the direction of Akiyuki Shinbo as he weaved his fantastic cut out art style into the show which gave a stark contrast between the evil witches and Ume Aoki’s adorable character designs. The dark shadow filled world he crafts work to create the sinister undertone that drives Madoka Magica forward as it slowly destroys the emotional stability of the audience. I can’t stop talking about how much I love this show. Compared to all the other shows on the list it might seem like nothing special. The animation is simple and the story is almost nonexistent, being a slice of life drama. So how can it compete with shows that have innovative animation and narrative techniques? With pure heart. The show is the sweetest thing I’ve ever seen and it handles it’s subject, a single guy taking in a little girl, with sincere realism. The characters are so beautifully and realistically constructed that one cannot help falling in love with all of them, even the annoying bratty kid who befriends Rin. 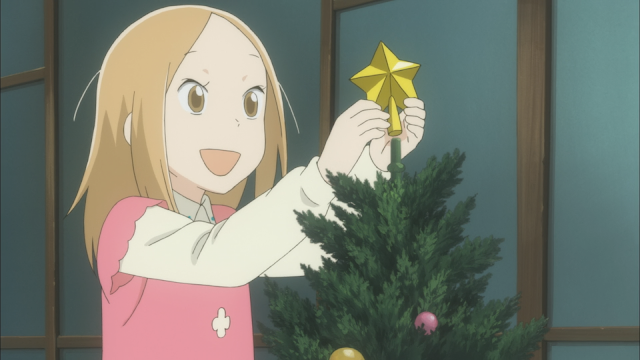 Usagi Drop is a beautiful, universal narrative which succeeds because of how honest and true it is executed. It transcends the medium and is a product that shows a universal human experience no matter what age or disposition from which the viewer approaches. 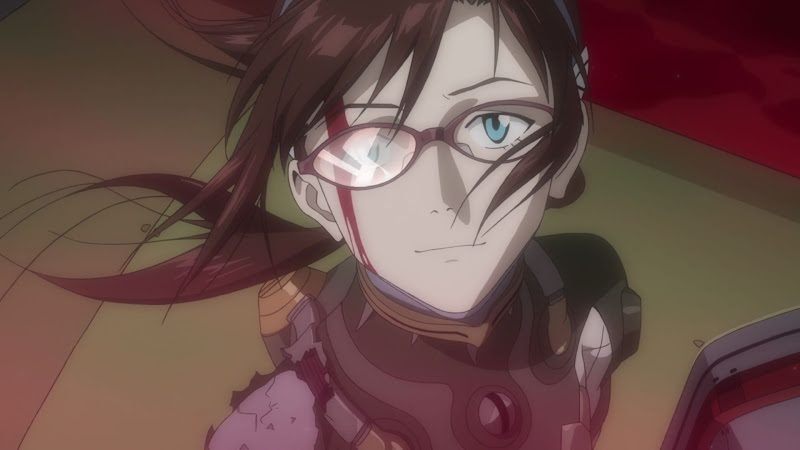 Evangelion 2.22 took the number one spot late and pretty much by default. 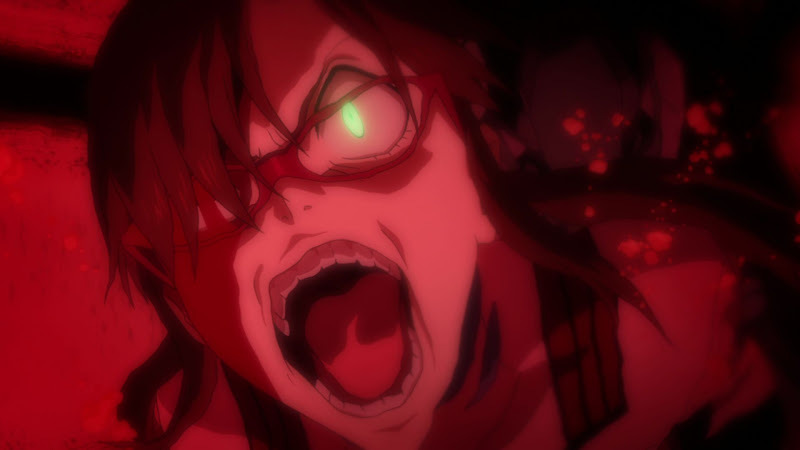 It wasn’t until I was compiling the list and went over my rules that I realized that Evangelion 2.22 qualified, and that’s why it wasn’t on last year’s list even though the first time I saw it was in 2010. 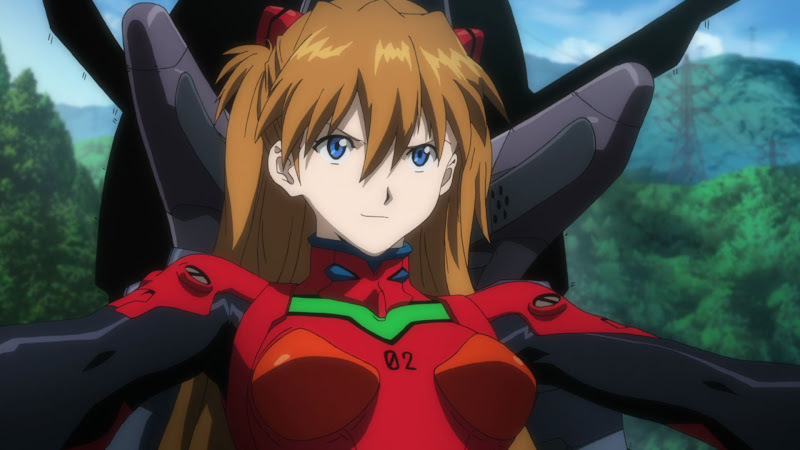 Evangelion 2.22 is an amazing accomplishment chiefly because it takes it’s source material, the Evangelion television series, and improves on it. 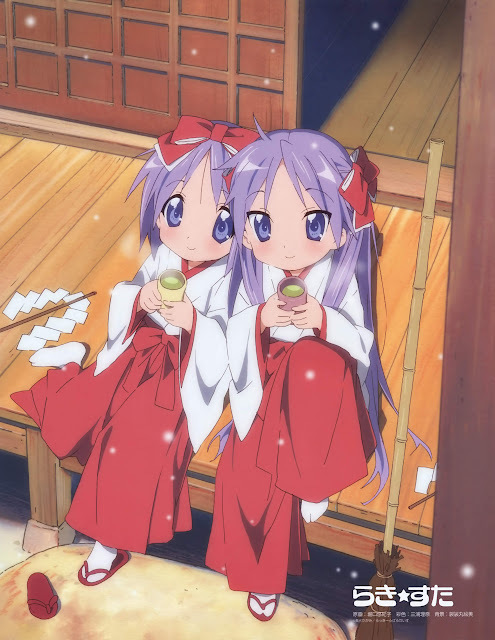 There are few anime series that come close to the complexity of narrative and depth of character development that the television series accomplishes and this film comes to much the same place using much tighter and complete character arcs. Not only is the structure of the narrative better but the visuals and action are perhaps some of the greatest ever seen in Japanese Animation. 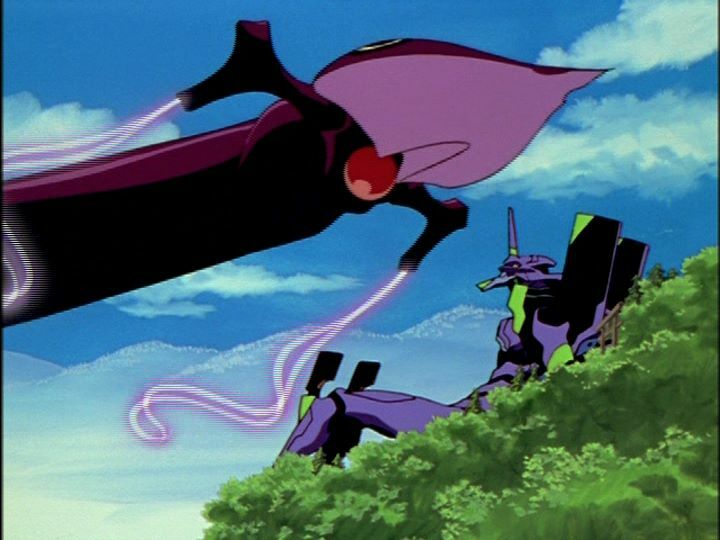 The style of the opening fight with Evangelion Unit 2 accomplishes what took the television series needed twenty minutes for in seconds. The intensity of the final battle with Zeruel seeds doubt into the audience as to what the outcome will be, and this is a remake of a much loved series! 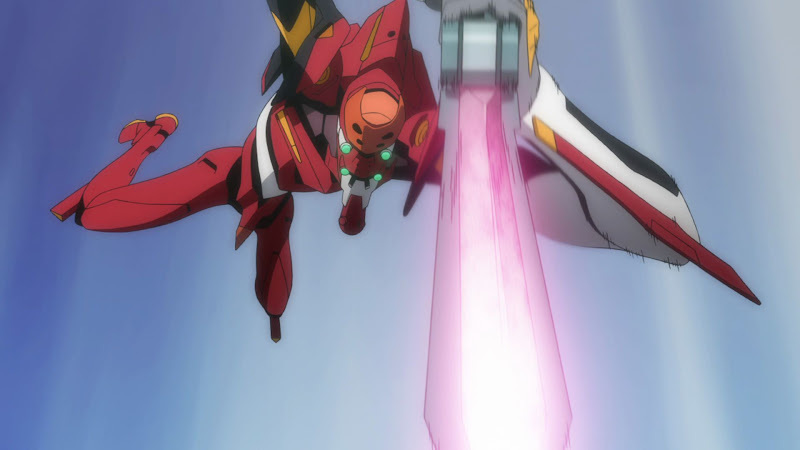 Hideaki Anno has improved on his own masterpiece and there is no question that Evangelion 2.22 takes the top spot for Anime released in 2011. As always, I look forward to what next year will bring. Another year, another fantastic list of shows to represent the medium. I hope you enjoy. Correction: The Girl Who Leapt Through Time was not Hosoda’s first film. I know Digimon exists, I just temporarily forgot about it. Having both ADV Evangelion DVD releases, the original and the platinum release, I wanted to go back and look at how large of a change the new films really are. It has been years since I’ve watched the original raw series so watching it after seeing the Blu-Ray version of Evangelion 1.11 was almost painful. The most noticeable element of this image from the original ADV release is the lack of detail on Evangelion Unit 01. The face detail is kind of blurred together and is difficult to make out. The mountain that Shinji landed on also lacks detail. The image quality of the remastered platinum edition is much darker. It helps the Evangelion to stand out more but the rib cage of the Angel, barely seen in the original version, is now completely hidden. 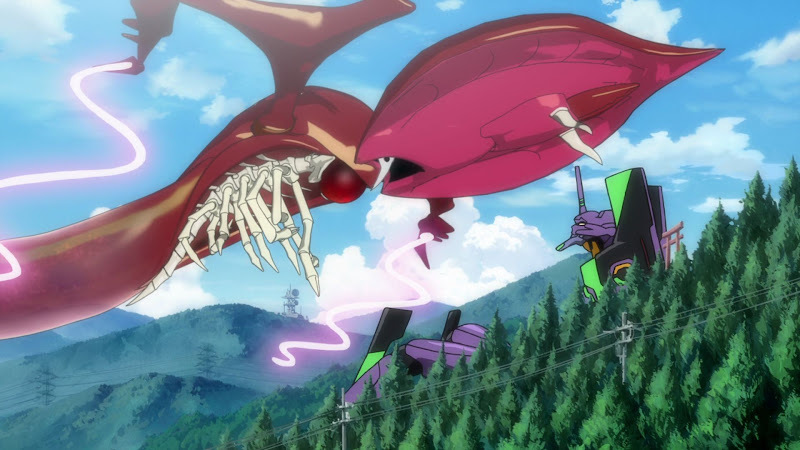 Unit 01 is much crisper and specific details stand out much more. The foreground trees, although still lacking much detail, are drawn better. 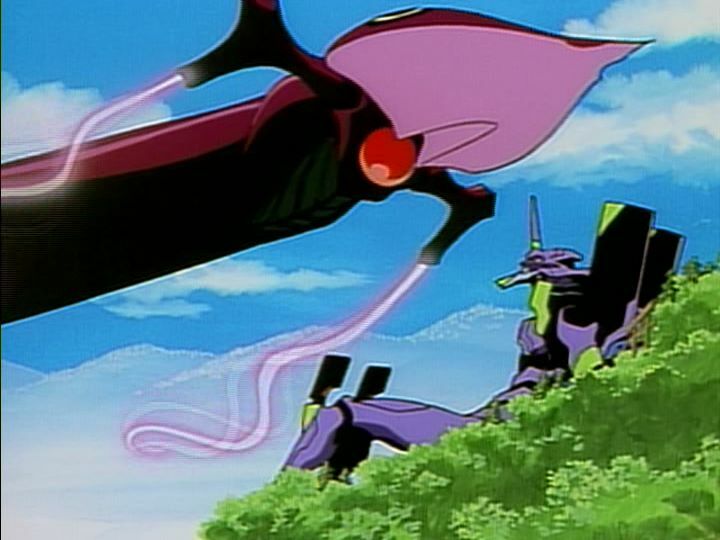 The mountains in the background show no change and the shrine near the Evangelion’s arm is much easier to see in this version. The remaster seemed to focus on making the image crisper even if details were going to be lost. How does the new movie stand up to the remastered original? 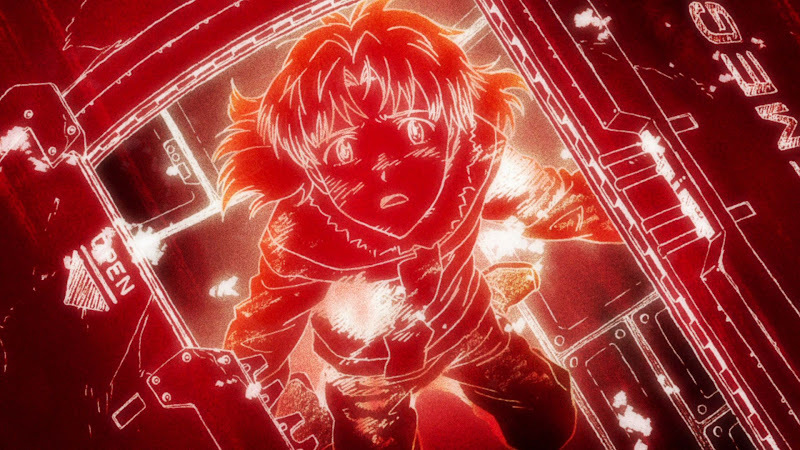 This is the same exact scene that Anno attempted to animate fifteen years ago but using the massive budget and some modern techniques the scene appears completely different. The rib cage is back and prominent. The mountains in the background and trees in the foreground are drawn with specific detail. 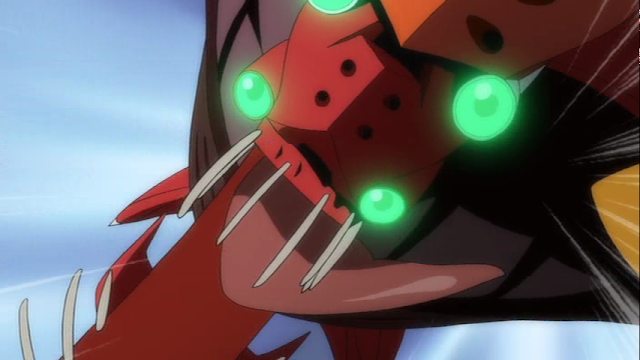 The Evangelion itself suffers no loss of detail even with the distance and at the strange angle. If anyone reading this hasn’t picked up Evangelion 1.11 yet… get to it. THAT is what you’re missing.